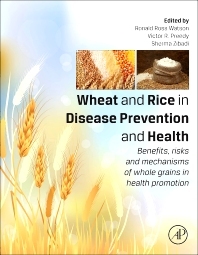 Wheat and Rice in Disease Prevention and Health reviews the wide range of studies focusing on the health benefits and disease prevention associated with the consumption of wheat and rice, the two most widely consumed whole grains. This book provides researchers, clinicians, and students with a comprehensive, definitive, and up-to-date compendium on the diverse basic and translational aspects of whole grain consumption and its protective effects across human health and disease. It serves as both a resource for current researchers as well as a guide to assist those in related disciplines to enter the realm of whole grain and nutrition research. Overall, studies have shown that a decrease in the amount of whole grains in the modern diet is related to a corresponding increase in health problems that are attributed to this all-too-common dietary imbalance. The resulting health issues associated with an over-processed diet, which provides inadequate levels of nutrients from whole grains, may include obesity, diabetes, high blood lipids, chronic inflammatory states, and an excess of oxidative stress. Strength and endurance may also suffer as a result of these nutrient deficiencies, followed by declines in energy and immunity. Academic, government, and corporate researchers in nutrition, epidemiology and public health; graduate students in nutrition, epidemiology and public health; and practicing nutritionists, dietitians, and epidemiologists. Why is it Important to know the Difference Between Celiac Disease, Wheat Allergy, and Gluten Sensitivity?